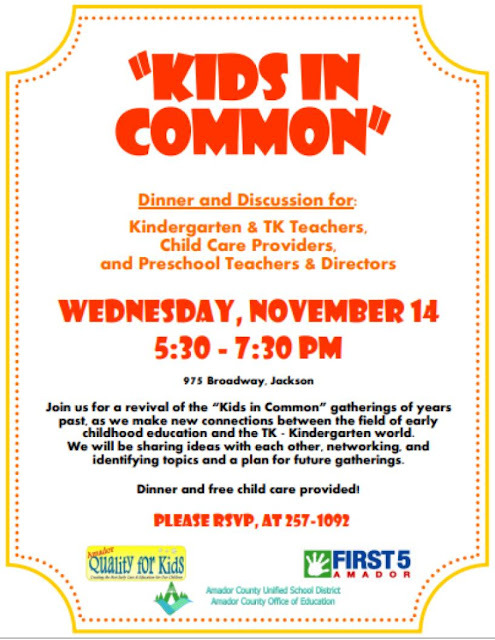 Join us for a revival of the "Kids in Common" gatherings of years past, as we make new connections between the field of early childhood education and the TK - Kindergarten world. 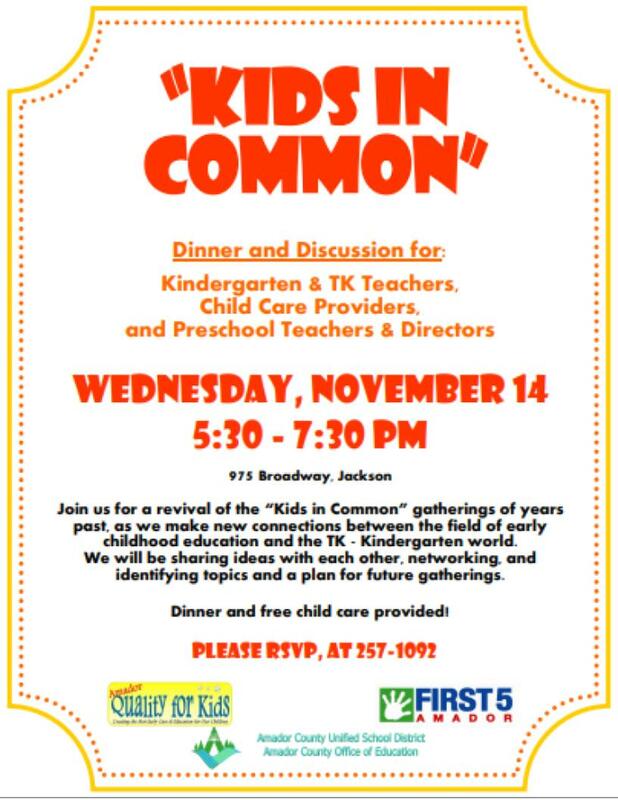 This will be a dinner and discussion for kindergarten and TK teachers, child care providers, and preschool teachers and directors. We will be sharing ideas with each other, networking, and identifying topics and a plan for future gatherings. Dinner and free child care provided. Please RSVP, at 257-1092.